What Goalie Equipment Does Braden Holtby Use and How Much Does it Cost? If you play hockey or are a parent of a child who plays hockey, you are fully aware of the expensive investment in equipment required to play the game. If you’re a goalie, you know these prices are even steeper for each item. Our latest installment of Capitals 101 takes a look at goaltender equipment. Thankfully there are programs like the Washington Capitals Learn to Play program that provide help for those who either want to get started playing the game or assistance paying for equipment. For the professional player, costs for goaltender equipment are absorbed by the teams or by player endorsement deals. 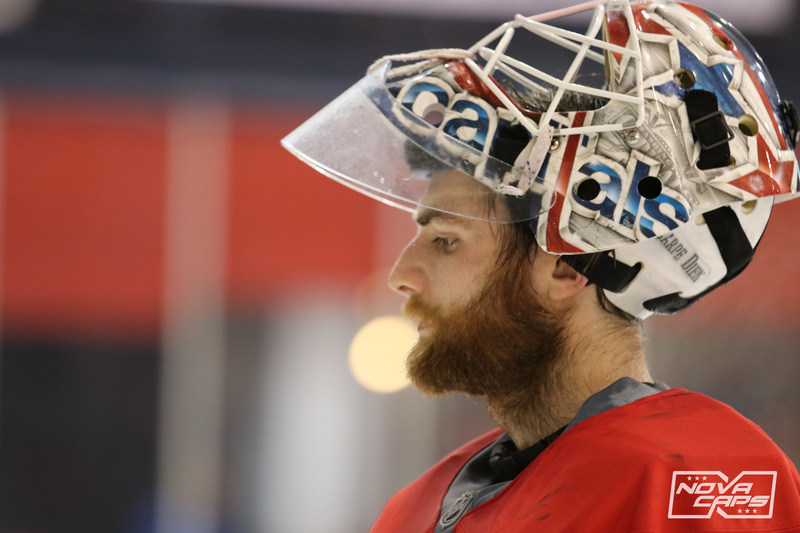 As part of our continuing Capitals 101 series, we decided we’d take Braden Holtby and identify all the equipment he uses, and the retail costs associated with each piece of equipment. The 2016 Vezina Trophy winner uses CCM with most of his equipment while his mask is outfitted by Bauer (Bauer 960 Pro). His mask is also custom-made and painted by David Gunnarsson. Holtby’s chest and shoulder pads are Reebok P3 custom while his blockers and leg pads are CCM Extreme Flex III. Information from PadsTracker. Here is a breakdown of the brands Holtby was using as of round 2 of last season’s playoffs and the costs associated with each piece of equipment. It (roughly) costs $9,520 to outfit Braden Holtby in hockey equipment and that doesn’t include the additional quantities of each equipment item. This also doesn’t include bags, additional pads, mouth guards, laces, etc. This entry was posted in News and tagged Braden Holtby, CCM, Goalie Equipment, Michael Marzzacco, Washington Capitals. Bookmark the permalink. 8 Responses to What Goalie Equipment Does Braden Holtby Use and How Much Does it Cost?